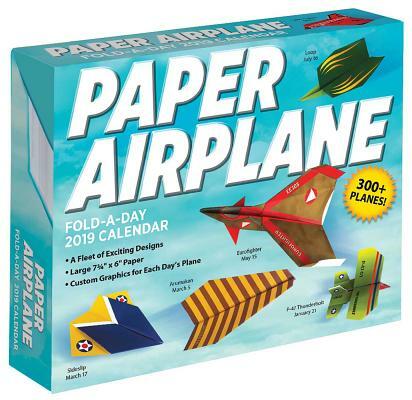 Take a daily break to create an enviable aeronautic fleet with the Paper Airplane Fold-A-Day 2019 Calendar. Origami designer David Mitchell and paper-airplane expert Kyong Lee combine forces to present 300-plus designs from 40 original models based on real-life military planes—such as fighter jets, MiGs, and drones—as well as creative aircraft designs for a year’s worth of flying fun! Don’t throw away yesterday’s calendar page! Instead, flip it over for airplane artwork, then fold it using the step-by-step instructions on today’s calendar page.